We have launched our Kickstarter campaign to raise the capital to complete our merch page. 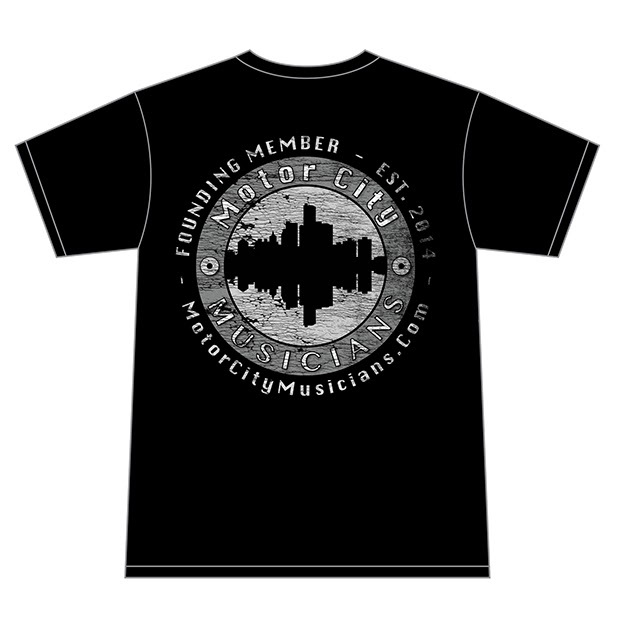 This campaign is intended to raise the funds needed to start offering branded merchandise to the Motor City Musicians supporters. Each reward offered will reflect a few of the items intended for the merch page but with a special twist. This initial inventory will include a special, limited edition "Founding Member" stamp that will indicate that the bearer of the item has been a supporter since the beginning. We've limited this offering to just a handful of items so that we can keep the goal low and more achievable but up'd the anti with the limited edition logo. We have some cool ideas for upcoming items once the page is completed but it all starts here. We hope you become a part of it now. Please check out the campaign to see what is offered and consider a pledge. We can sure use your support to start our journey towards our goals, which are explained in the video on the campaign page. Once you have become a part of this campaign or even if you don't right away, please spread the word and share. You may know someone that believes in what we are doing or that might just like some of the swag.